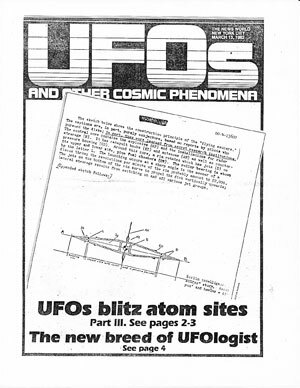 We publish the third and last installment of the original series that appeared in The News World’s “UFO Supplement” in March 1982, under the pseudonym of A. Hovni. 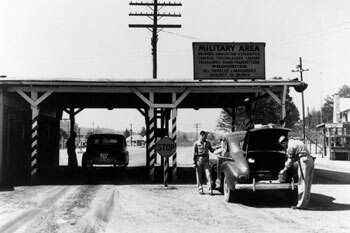 Based on then recently declassified documents from the USAF, FBI, AEC (Atomic Energy Commission) and other agencies released under the Freedom of Information Act (FOIA), this article continues with the UFO mini-flap over the restricted zone of the Oak Ridge atomic facilities in Tennessee in 1950; as well as CIA documents about sightings over uranium mines in the Belgian Congo (currently the Democratic Republic of the Congo) in central Africa; and more flying saucer activity monitored by the FBI, this time over the Savannah River Plant managed by the AEC in South Carolina. We transcribed the article identically as it appeared in The News World on March 6, 1982, correcting only typos and adding illustrations and some of the official documents discussed in the story. We covered in our previous article the beginnings of the October 1950 UFO flap over the sensitive atomic installations at Oak Ridge, Tenn., which would cause considerable alarm in various U.S. government agencies. 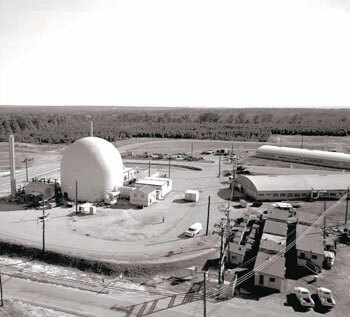 On Oct. 12 and 13 of that year, unidentified objects were observed visually by Atomic Energy Commission (AEC) security personnel while unidentified echoes were detected by the Air Force Radar Station at McGhee-Tyson Airport in Knoxville, Tenn. F-82 fighter jets were scrambled on both occasions. 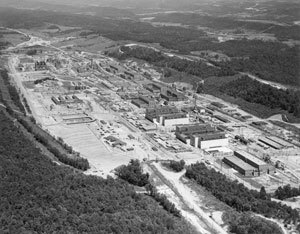 The authorities were still sorting out the evidence of these initial incidents when, at 3:20 p.m. on Oct. 16, AEC troopers John Isabell, Lendelle Clark and Hank Briggs, and two other witnesses observed “objects hovering over the K-25 plant at Oak Ridge, Tenn.” (See AEC Patrol Incident Report by trooper John Isabell for a complete description of the sighting in the words of the principal witness). 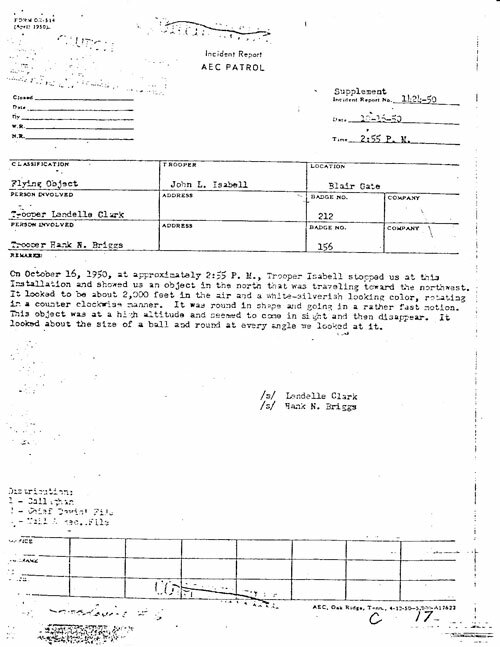 AEC Patrol Incident Report with the testimony of Trooper John L. Isabell on October 16, 1950. A May 12, 1952 urgent teletype from the FBI office in Savannah to director J. Edgar Hoover in Washington indicated that on May 10, at approximately 10:45 p.m., “four employees of Dupont Co., employed on Savannah River Plant near Ellenton, S.C., saw four disc-shaped objects approaching the four-hundred area from the south, disappearing in a northerly direction.” For the next half hour or so, four more objects buzzed the area, flying both in pairs and singles. Another series of sightings took place during the same flap in South County, Rhode Island. According to ufologist Ronald Todd from APRO, of 66 sightings in the area, 47 were reported around Wood River Junction, where the United Nuclear Uranium Recovery Plant is located. In one particular incident, two UFOs hovered alternately over the plant for almost three hours. In another incident, witnessed by Todd himself, a UFO was chased by six helicopters and a radar plane. 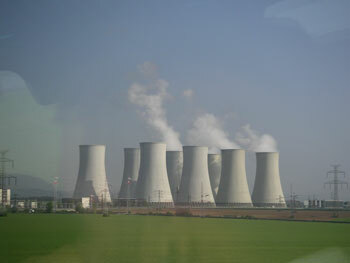 “A lot seemed to center around the nuclear plant,” concluded Todd. And there is still the well known UFO “invasion” of several Strategic Air Command nuclear bases over a two-week period in late 1975. Of course there are many more UFO cases near nuclear power plants that took place since this series of articles was published originally in 1982. On June 14 and then again on July 24, 1984, barely two years after publication of these articles, one of the best known UFO incidents over atomic facilities occurred when “a huge elongated solid structure” was seen by security guards at Reactor No. 3 of the Indian Point Atomic Power Plants in Buchanan, just north of New York City. The details are described in the chapter “Close Encounters at Indian Point” in Night Siege – The Hudson Valley UFO Sightings, which was Dr. Hynek’s last book, co-authored with Philip Imbrogno and Bob Pratt. Although the security guards were interviewed for this book, no official documents have ever emerged regarding this case. The late Col. Colman von Keviczky, director of ICUFON in New York, contacted the NY Power Authority, the Nuclear Regulatory Commission (NRC, which replaced the AEC), the Department of Energy, and other agencies in an attempt to obtain files under the FOIA, but was basically given a polite run-around but no papers about the Indian Point UFO incidents. The next important case occurred on the evening of March 4, 1988 on Lake Erie, near the Perry Nuclear Power Plant in Ohio, 40 miles northeast of Cleveland. This case was investigated by the U.S. Coast Guard (USCG), which described it in a document as “a large object hovering over the lake,” which “apparently dispersed 3-5 smaller flying objects that were zipping around rather quickly” and “had the ability to stop and hover in mid flight.” This interesting case is described in some detail in a famous article by UFO historian Richard Dolan, “Twelve Government Documents That Take UFOs Seriously,” posted by Open Minds. We’ve also included the USCG report in the list of sample official documents below. 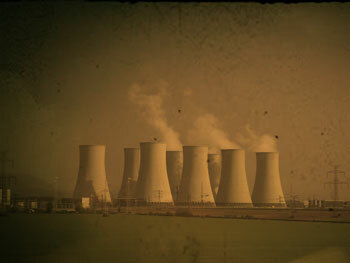 The appearance of UFOs over nuclear power plants is certainly not restricted to the U.S. In their book UFO Case Files of Russia, authors Paul Stonehill and Philip Mantle included two chapters titled “UFOs over Soviet Nuclear Installations” and “UFOs over Chernobyl.” The UFO allegations surrounding the nuclear disaster in Chernobyl in Ukraine in April 1986 are particularly intriguing. The chapter provides the testimony of two power plant technicians, who “observed a fiery sphere in the sky…Two bright raspberry-coloured rays shot out from the UFO and were directed at the reactor of Unit 4.” According to Mantle and Stonehill, readings taken by the technicians right before and after the appearance of the UFO showed a dramatic decrease of the radiation level. Other sightings and even a couple of photos were taken in 1990 and 1991. Another UFO flap over an atomic power plant occurred in Slovakia in 1992, specifically at the Bohunice Nuclear Power Plant in the village of Javlovské Bohunice in western Slovakia’s Trnava District. 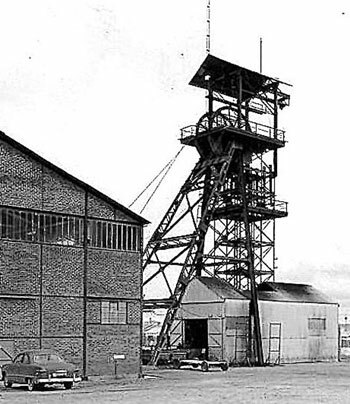 According to a report published in Hungary’s Ufomagazin in 1994, on the early hours of August 21, 1992, a security guard reported to his supervisor “the appearance of a flying object around the entrance gate of the plant. It was about 300 meters in diameter, triangular in form and hovering at an altitude of 500 meters.” The eyewitness could not identify the object with any familiar aircraft and no noise was heard. Other guards also saw the object over the gate and reported that something had landed outside the plant. Burnt marks were found on the field on the following morning. This was followed by other incidents, which led about 25 workers at the Bohunice plant to create their own UFO Club to document the flap! Finally, an Argentinean UFO hunter called Cristián Soldano reported and filmed unexplained lights which he called “UFO flashes” near the Atucha nuclear power reactor in Buenos Aires province in June 2010. His story and footage was published and broadcast by Argentina’s media, including Soldano’s claims that “these objects were reacting to our signals” (he uses a protocol similar to Dr. Greer’s C-SETI) and were seen on the road leading to the Atucha plant. There were also some reports and YouTube videos of alleged UFO activity during the Fukushima Daiichi nuclear disaster in Japan, following the catastrophic earthquake and tsunami of March 11, 2011. Although there are several YouTube videos showing possible UFOs, I have not seen more solid reports documenting these cases. But even if we don’t count Fukushima, the evidence outlined in this series clearly establishes a link between UFO activity and nuclear power plants. Their intentions and its implications remain elusive, but the evidence should not be ignored and ought to be researched more in depth. Army Counter Intelligence Corps (CIC) Summary of Information, “Subject: Objects Sighted over Oak Ridge,” dated October 17, 1950. CIA reports including a translation of a Vienna newspaper article, “Flying Saucers over Belgian Congo Uranium Mines,” from 1952; and a “Report of Unidentified Flying Objects” in the Belgian Congo from 1956. FBI “urgent” teletype about UFO sightings at the AEC Savannah River Plant, May 12, 1952; and a memo by Director J. Edgar Hoover to the Air Force Director of Special Investigations on the same subject, May 15, 1952. 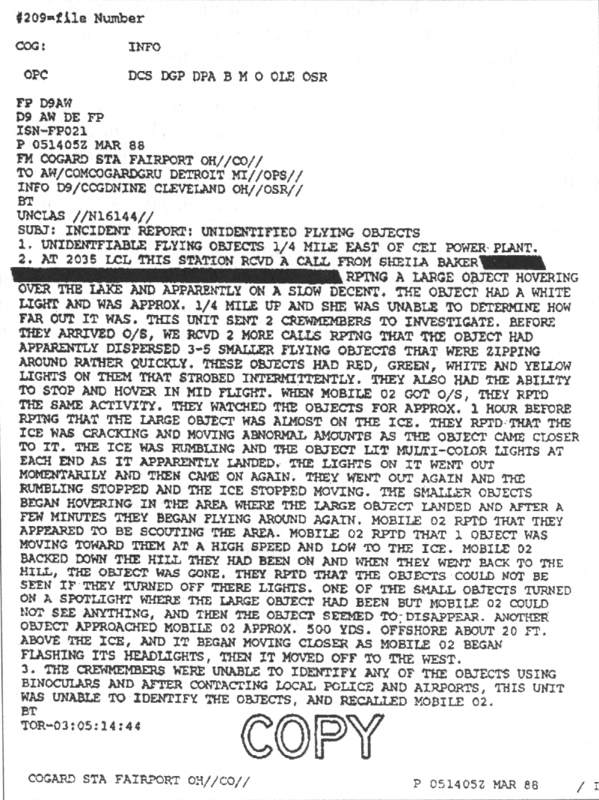 US Coast Guard “Incident Report: Unidentified Flying Objects,” mentioning an incident “1/4 mile east of CEI Power Plant” from March 1988. Am giving an educational series to seniors in affiliation with Widener University’s EXTON Pa. campus and the subject matter of my lectures is EXTRATERRESTRIAL INTELLIGENCE. The major sighting at Buchanan Point nuclear power plant is of great significance in my presentation. ANY further info on this incredible sighting would be appreciated.